During a recent grocery shopping trip to a local supermarket Brad, from our River Store, came across a bike that needed a little TLC. 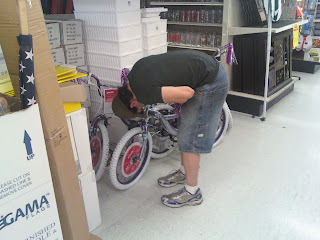 When you've put together as many bikes as Brad, I guess you notice the little things. Thanks Brad, you saved someones future cycling experience!